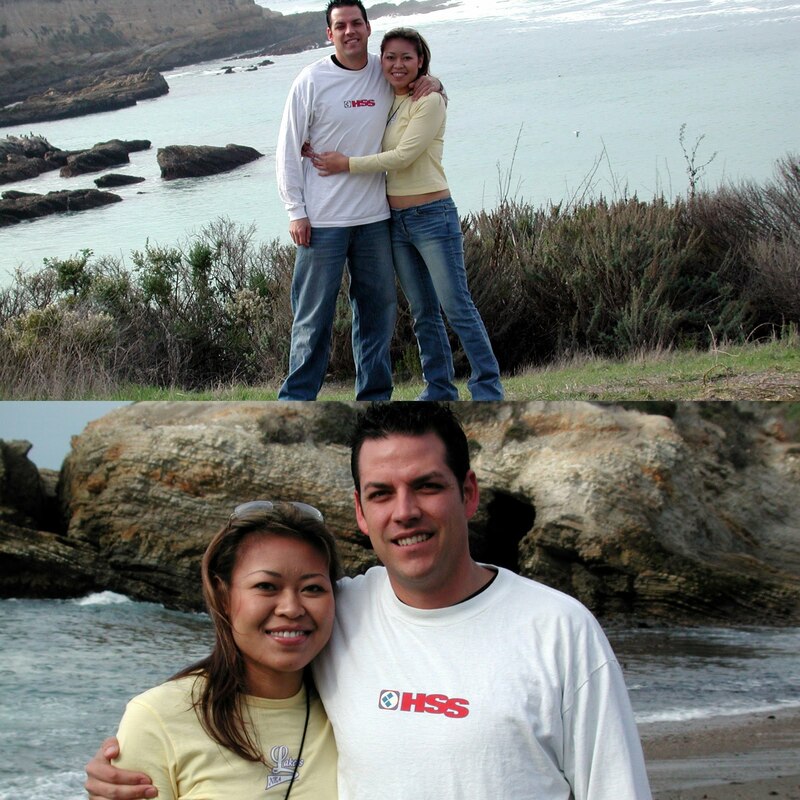 Near the end of 2002, I visited San Luis Obispo for the first time where John had lived during his college days. We were up north for Thanksgiving at his parents home in Arroyo Grande where I met (his dad) John and (mom) Maggie for the first time. During one of the days, John took me to Montaña De Oro state park and we took the pictures above. We rode from the Apple Farm Inn in San Luis Obispo early Sunday morning. 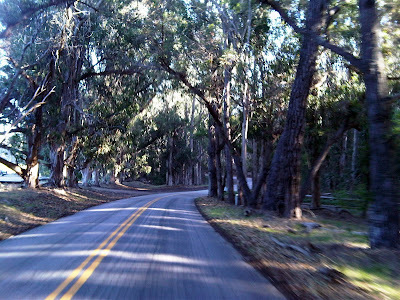 17 miles through the scenic valley in to the one of the largest park in California. The weather was a lot cooler than Vegas so we wore more layers to stay warm. Windy roads uphill and downhill, past vineyards and pumpkin patches through trees that sheltered the path we road until we arrived at the point we had had set foot on eight years before. 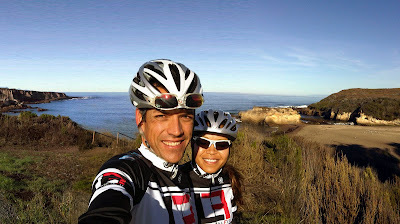 I cannot tell you how much I enjoyed our ride together and all the beautiful things we saw--such a fun time! 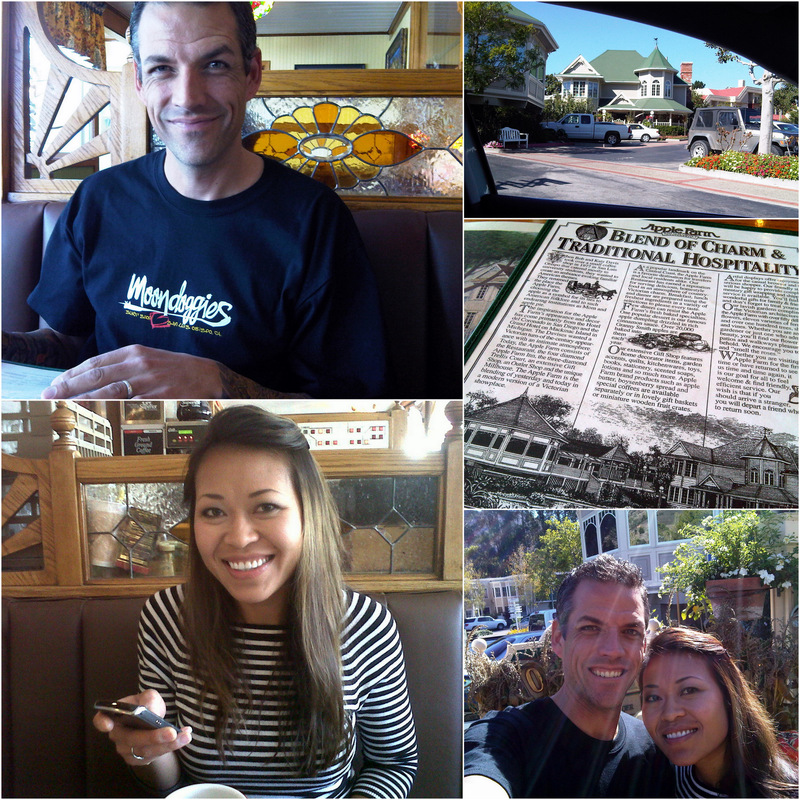 When our ride was over we settled down to have breakfast at the Inn before we parted from the Apple Farm towards home. 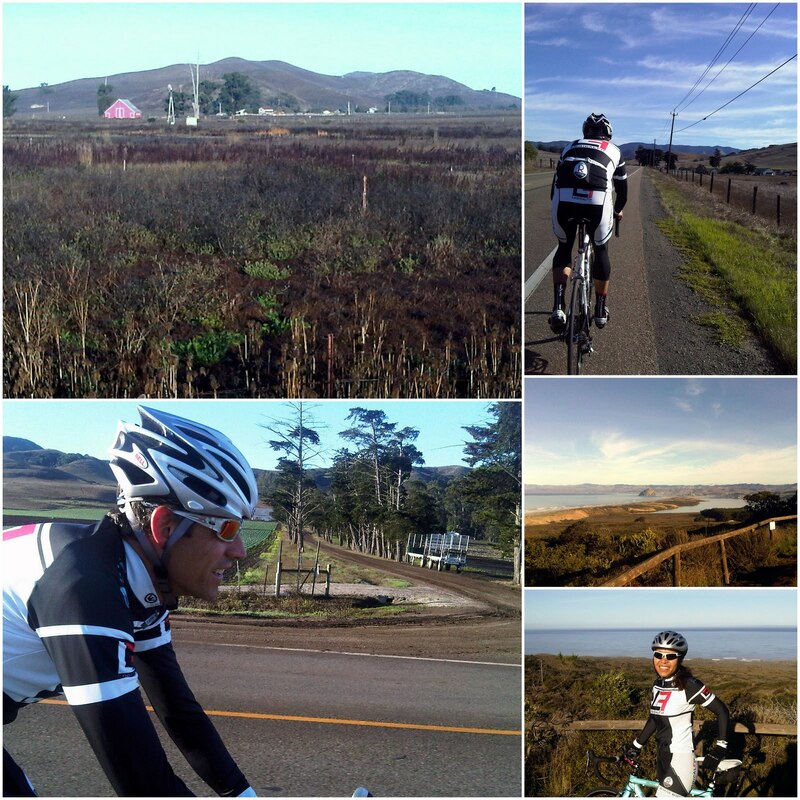 It was a nice weekend of riding, race watching, good food, and time spent with friends and each other. how many miles total did you ride? Looks like a perfect day. We rode 34.5 miles and weren't ready to stop but we needed to pack, grab breakfast and check-out so we can get on the road for home. It was a lot of fun. I really enjoyed riding in the SLO area.